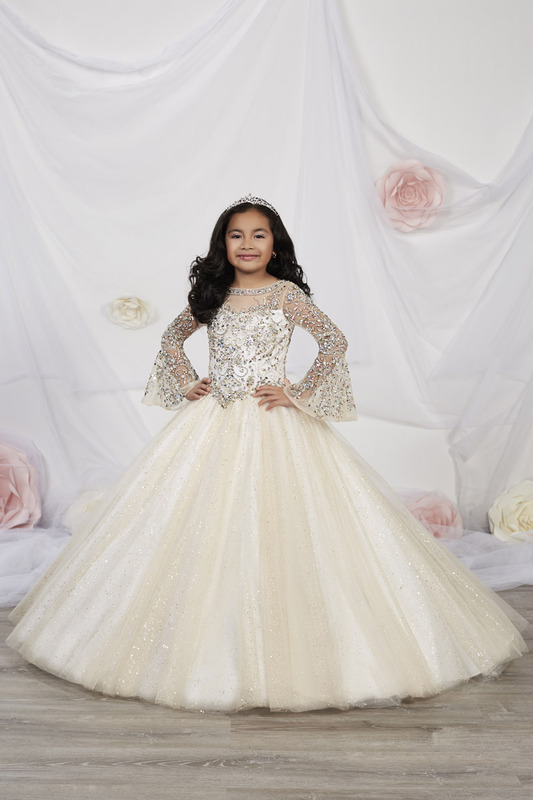 This gown features an illusion neckline, and a full tulle sparkle ball gown skirt that is beaded with every sparkling adornment imaginable and is made with the must-have bell sleeves. Sweep train with lace-up back. 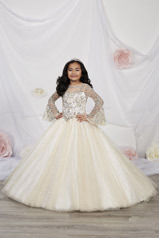 Little Girls Dresses are sold only on our website. 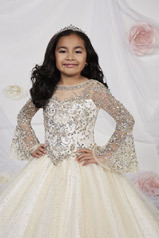 These dresses are not available in store for viewing or purchase.